If you are suffering from depression you won’t find easy or quick relief. Your feelings of sadness can continue for weeks and months, and interfere significantly in your relationships, employment and health. Contact depression counselling Gold Coast and get in touch with an experience Gold Coast depression counsellor. Our experienced counsellor will help you get to the bottom of the underlying causes of your depression by working with you to examine the thoughts, feelings and behaviours that are contributing to your low mood. Our counselling psychotherapist has many years of experience in helping with depression counselling. Our lovely depression counsellor at Soul Counselling, Gold Coast, can help you tackle your depression and move forward with a more positive outlook on your life. For depression help Gold Coast, please call 0479 144 561 or complete the on-line booking form to make an appointment with our depression counselling psychologist and psychotherapist at the Soul Counselling Gold Coast. Here at Depression Counselling Gold Coast, I can support you explore the root causes of your depression and low mood. I can also help you decide whether you might benefit from trying out cognitive behavioral therapy techniques, which focus on lifting the spiraling cycles of depression and low mood. Your depression counsellor at Soul Counselling, Gold Coast will help you get to the bottom of the underlying causes of your depression by working with you to examine the thoughts, feelings and behaviors that are contributing to your low mood. Our counselling psychologist and psychotherapist at Soul Counselling have many years of experience in helping with depression, and we can also provide you with pharmacological depression treatment through our private consultant psychiatrist. 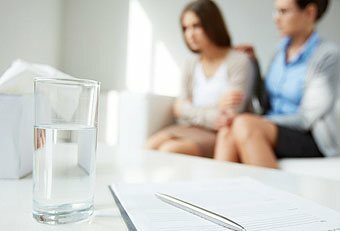 What to expect from depression counselling Gold Coast ? Depression Counselling Gold Coast offers counselling support for people which are going through difficult times in their life. Cristina is absolutely amazing in her work. Was very skeptical about seeing a counsellor initially however my made was changed from the first session. Highly recommend her services to everyone. Christina is so lovely, kind and extremely insightful. She has been able to help me come to conclusions and learn about myself in such a short period of time. She thinks outside of the box, which is so refreshing compared to majority of psychologists. I would most definitely recommend Christina! At my most vulnerable and helpless time, it is through Christina’s guidance that I am able to be centred and make life changing decisions with clarity. Christina’s professionalism and depth of knowledge is undoubtly impressive. However, it is the true compassion from Christina’s heart that makes her special for understanding and connecting emotions at the deeper level which creates a safe space for me to comfortably express my core. Her ability to integrate different methods and techniques at the right moment facilitate speedy and to the point resolution. The information that I receive from her is not only helping the single incident but benefiting me my journey through life. Seeing her is one of the most valuable life decisions that I had made and her service is highly recommended to anyone that is at the crossroad of their path.